And my final Nica handbag outfit, and possibly my favourite. It is super casual and comfy and perfect for everyday. I'm wearing the jeans I chose at the Miss Selfridge denim breakfast and I have to say they're quickly becoming my staple jean as they're stretchy and fitted and a great Spring colour. A simple blue shirt completes any outfit and this one was a bargain from H&M at £14.99! I love how hats look on other people but I struggle to pull it off myself, but I braved it this day and I really like how it looks- a great alternative to sunglasses. And another favourite are my lace up flats. A huge trend for Spring/Summer. I bought these from Next back in February and have been wearing them A LOT. They dress up a plain outfit and are so easy to style. At £45 they're not the cheapest I've seen, but they are real leather and pretty comfy.. however, if you are looking for a cheaper alternative I've seen some in Primark, New Look and ASOS! 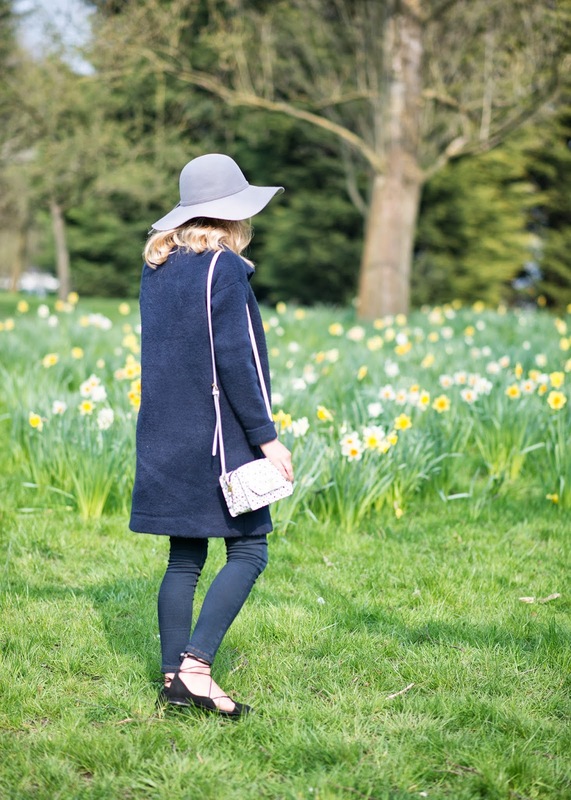 I hope you have enjoyed my five way styling of the Nica bag, and I might have inspired you in some way! Let me know which look has been your favourite!